Jamaica Research Papers discuss the history of this third world nation. The island nation of Jamaica conjures up many pleasing images: Blue Mountain coffee, the reggae music of Bob Marley, dreadlocked natives drinking rum under a tropical sun, steel drums, pirate legends, and the oxymoronic Jamaican bobsled team. A land of pristine beaches surrounded by the crystalline waters of the Caribbean, few Americans with tourist dreams of Jamaica realize it is a third world nation still struggling to free itself from three hundred years of British colonial rule. The history of Jamaica is violent and bloody, and not in the romantic buccaneer tradition. Slavery and revolt, racial struggle and economic disaster have left a legacy that Jamaicans must still cope with. 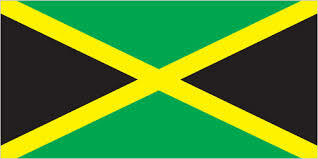 Jamaica was discovered by Christopher Columbus in 1494, and settled in 1509. The Spanish sought gold on Jamaica and managed to virtually annihilate the native Indian population during a century and a half of rule. The British invaded the island in 1655, driving off the Spanish in the name of Oliver Cromwell. Jamaican identity is irrevocably intertwined with Britain, remaining a colony until 1962. The nation is still a part of the British Commonwealth. Around 1530, during Spanish reign, the first Africans were imported as slaves. The Spaniards had discovered that Arawak Indians made a poor forced labor pool, and indeed managed to wipe this people off the face of the earth. The British, upon arrival, focused the colony’s economic output on sugar, and began constructing a sizeable network of plantations. The need for slaves greatly expanded with the sugar trade and some five thousand Africans were imported to the colony annually. Due in part to the influx of considerable numbers of slaves, Jamaica would become the world’s largest supplier of sugar. During the 17th century, Jamaica did indeed become a haven for pirates. Port Royal “came to serve as a base for buccaneers intent of raiding the Spanish and Dutch possessions in the Caribbean.” Henry Morgan, an English privateer famous for sacking Panama City (1671), was knighted and named Lieutenant Governor of the colony. Paper Masters writes custom research papers on Jamaica and discuss the history of this third world nation.